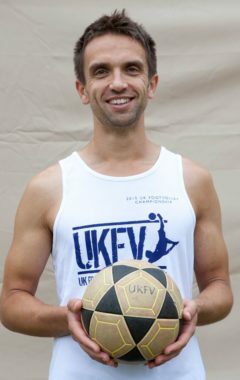 We first saw Dave doing keep-ups at a Nike 90 launch party in Truman Brewery London. 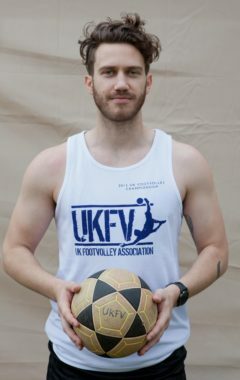 (we were there in a mini fv court) We snapped him up, and the rest is history. 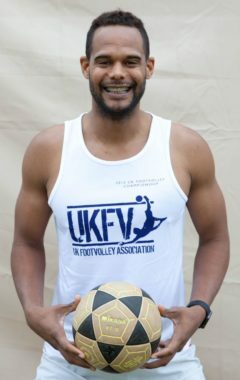 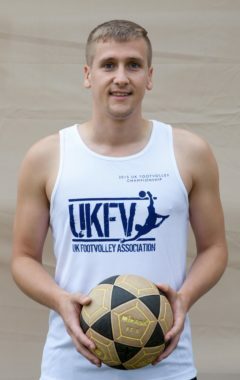 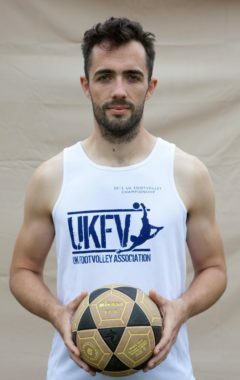 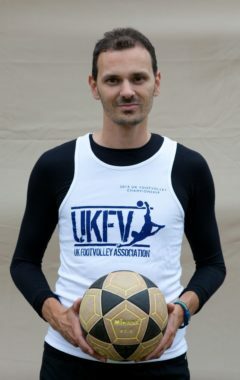 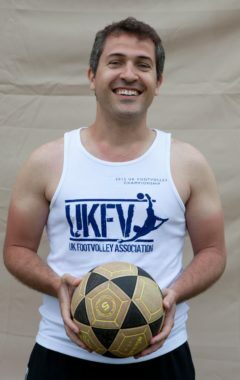 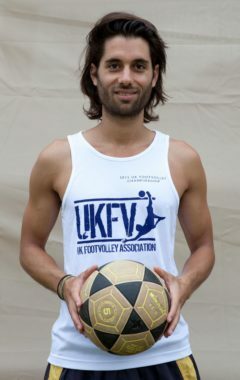 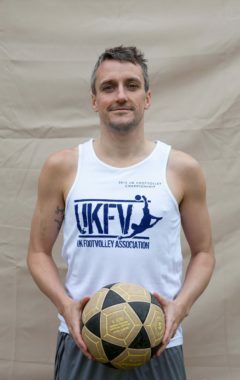 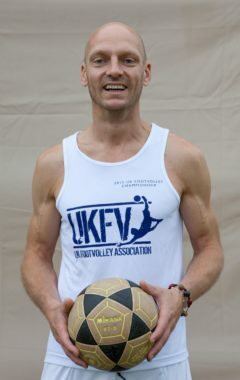 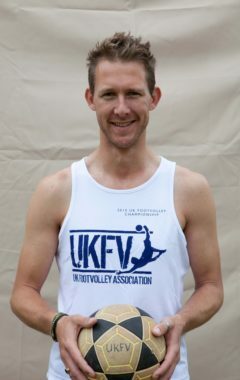 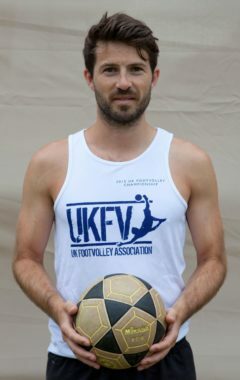 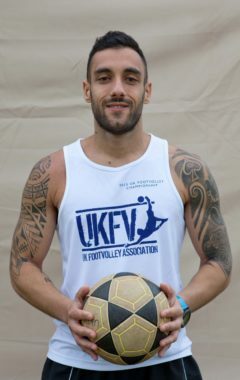 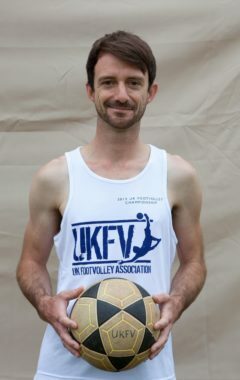 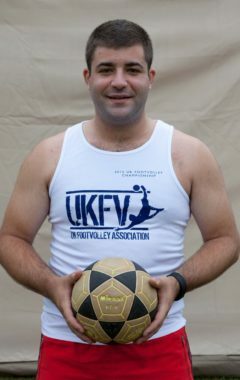 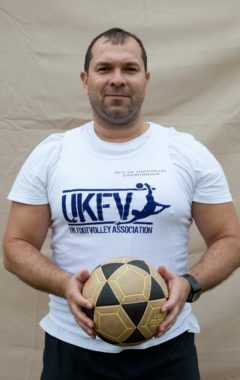 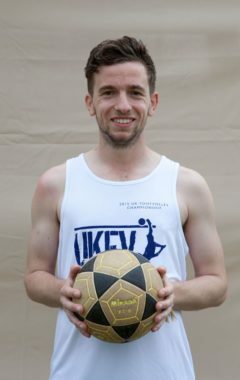 Dave has dozens of international caps, 5 time UK Champion (with his partner Gaz Titley), and has presented footvolley on the worlds longest running childrens TV show – Blue Peter – two times.